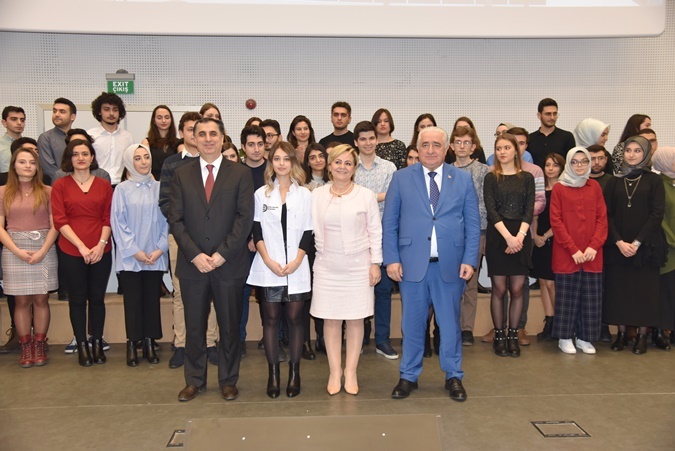 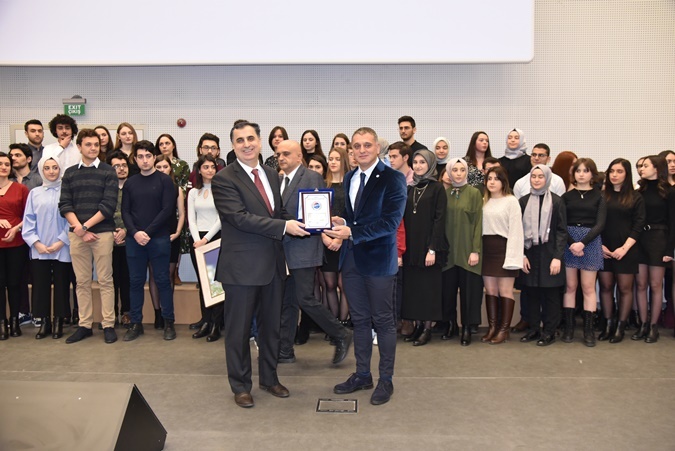 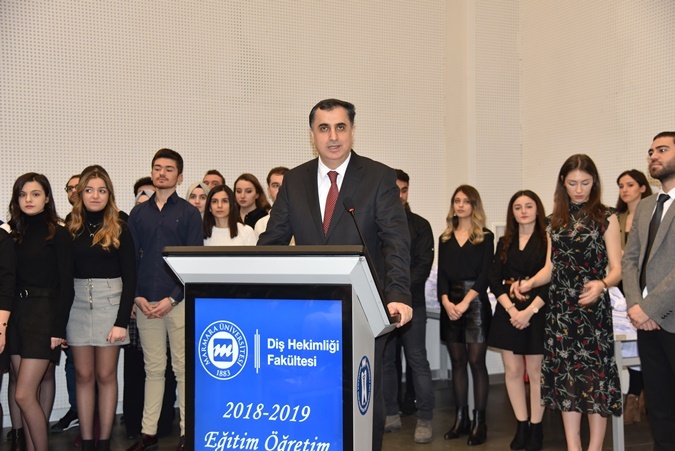 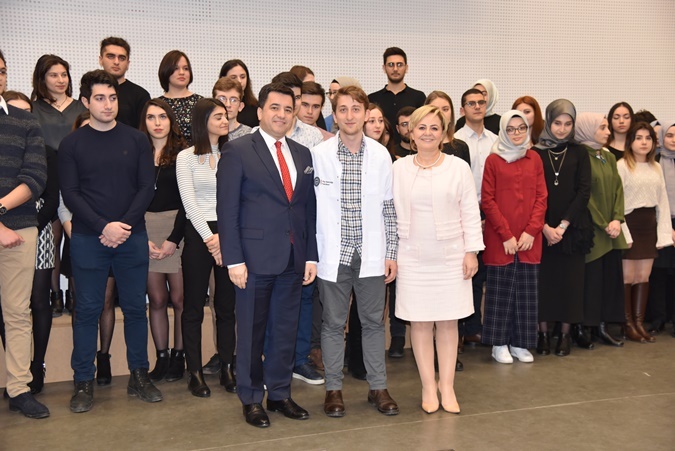 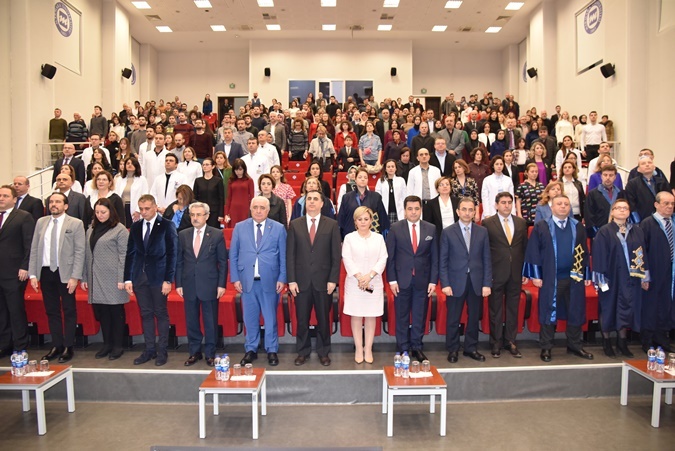 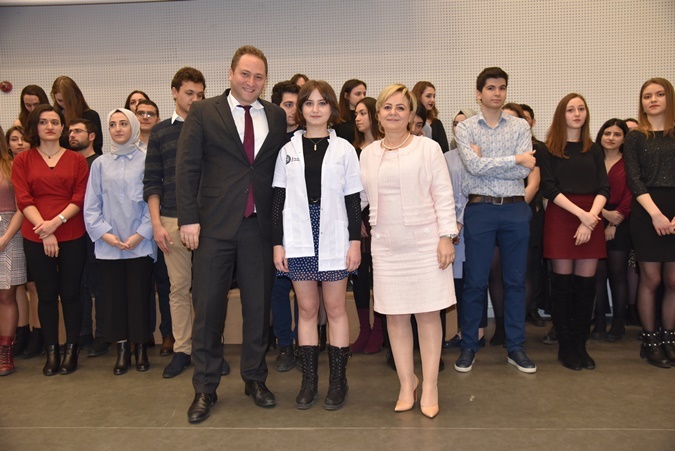 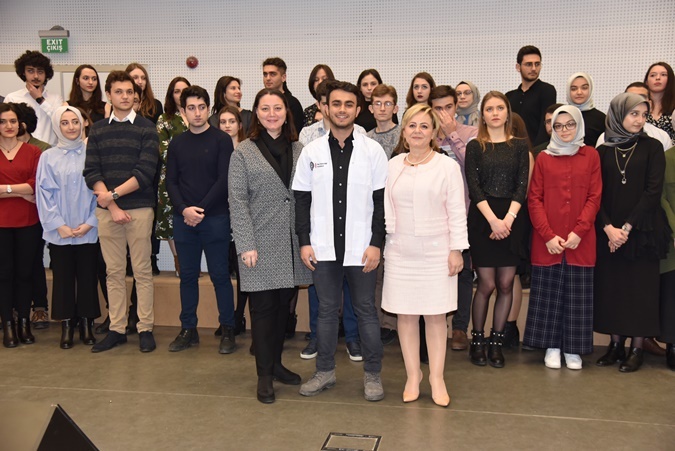 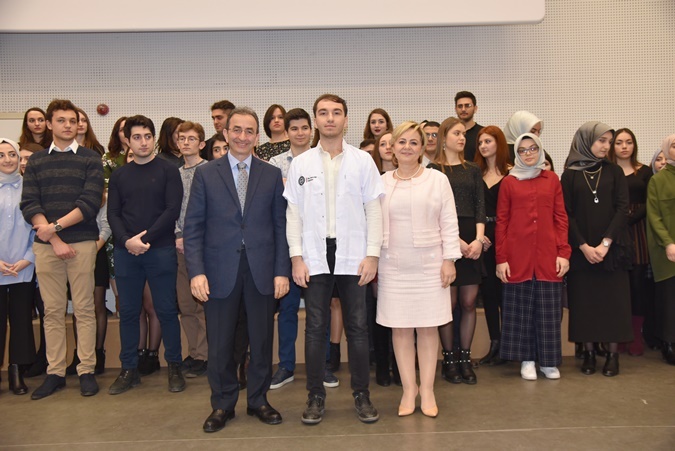 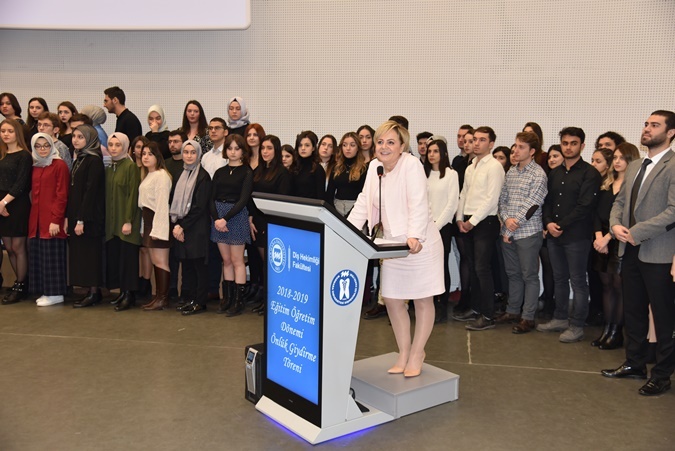 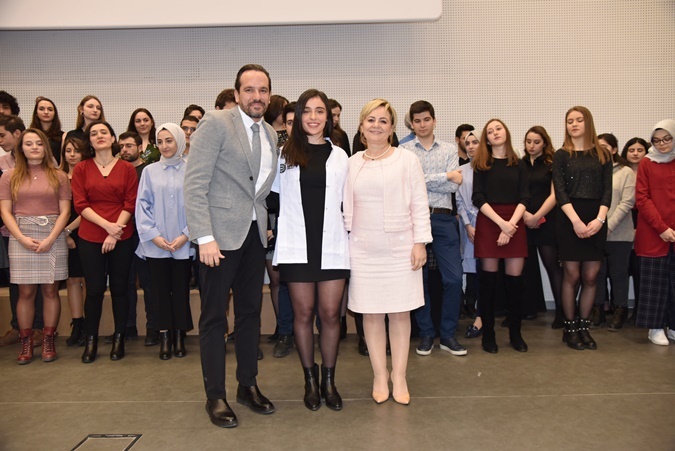 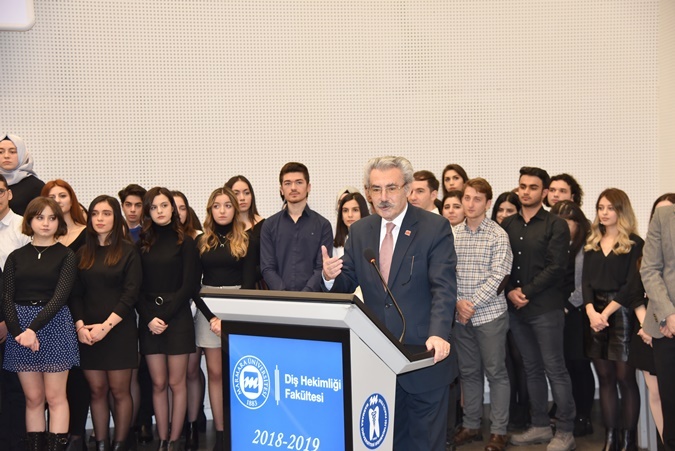 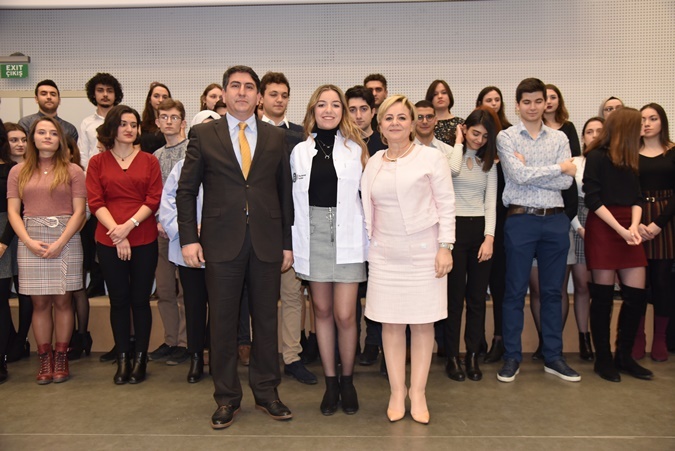 2018-2019 Academic Year the Traditional Opening and White Coat Ceremony of the 1st Class Students of the Faculty of Dentistry, in which they stepped into the profession, was held on February 7, 2019 at the Conference Hall of the Faculty of Dentistry. 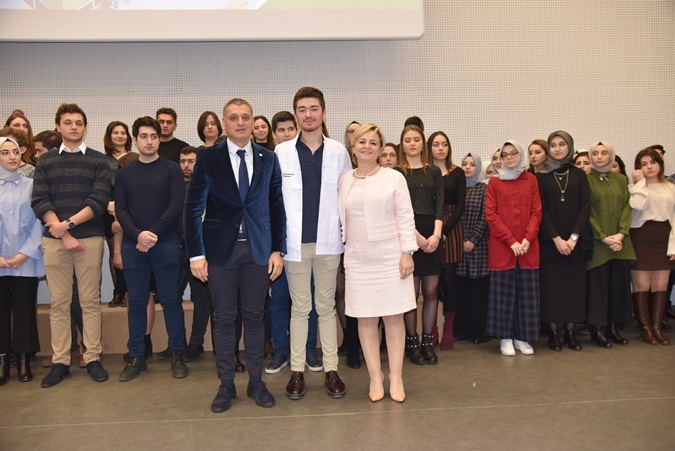 Vice Rector Prof. Mustafa Çelen PhD, Istanbul Deputy Governor Cemalettin Özdemir, Dean of the Faculty of Medicine Prof. Dr. Osman Hakan Gündüz, Dean of the Faculty of Economics Prof. Esen Yıldırım PhD, Acting Director of Health Services Vocational School Prof. Süleyman Ümit Şehirli PhD, Vice Dean of the Faculty of Sport Sciences Lecturer Sinan Bozkurt PhD, Assistant Professor of Technical Sciences Vocational School Lecturer Elif Özen Ural PhD, Istanbul Chamber of Dentists Chairman of the Board Prof. Turhan Atalay PhD and Faculty of Sport Sciences and Turkey Underwater Sports Federation President Assoc. 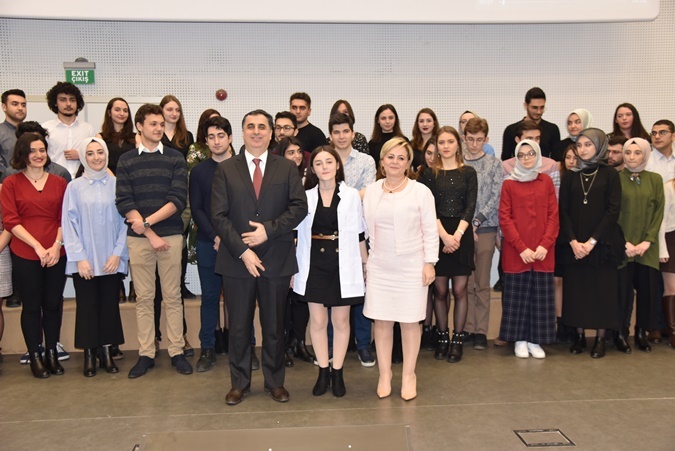 Prof. Şahin Özen PhD participated in the ceremony. 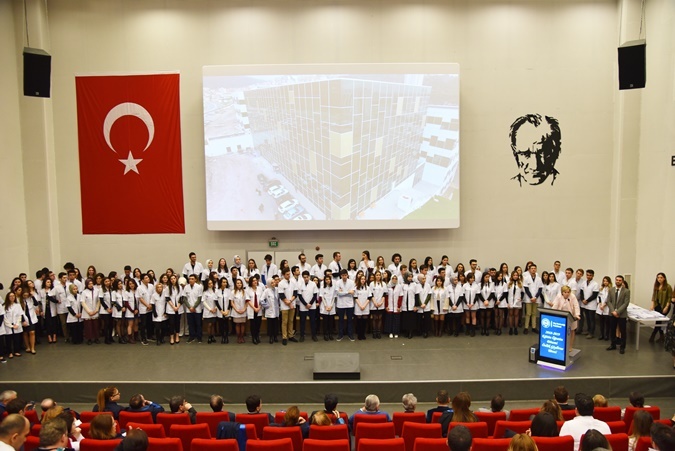 The ceremony started with the speech of Vice Rector Prof. Mustafa Çelen PhD. 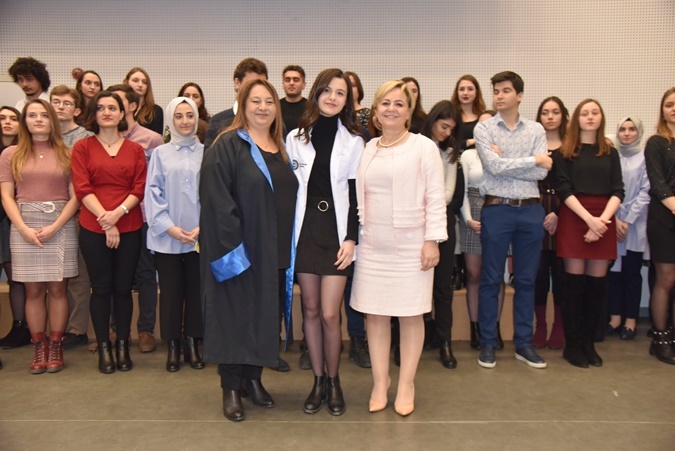 After Çelen's speech, Dean of Faculty of Dentistry Prof. Yasemin Özkan PhD and Chairman of the Board of Istanbul Chamber of Dentists Prof.Turhan Atalay PhD made their speeches. 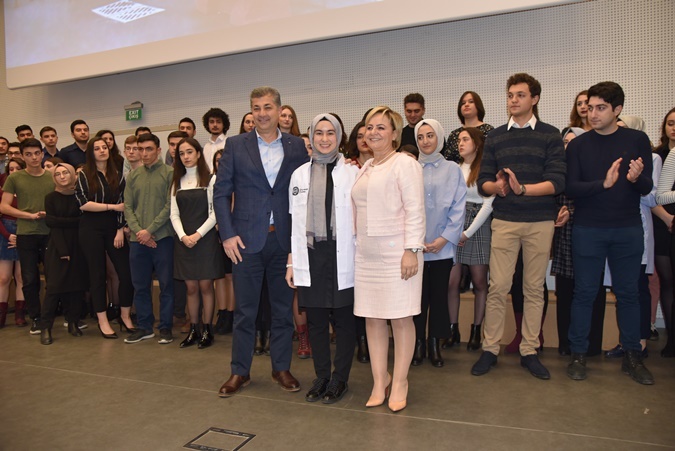 After the speeches, first year students were put in white coats by the faculty members and guests. 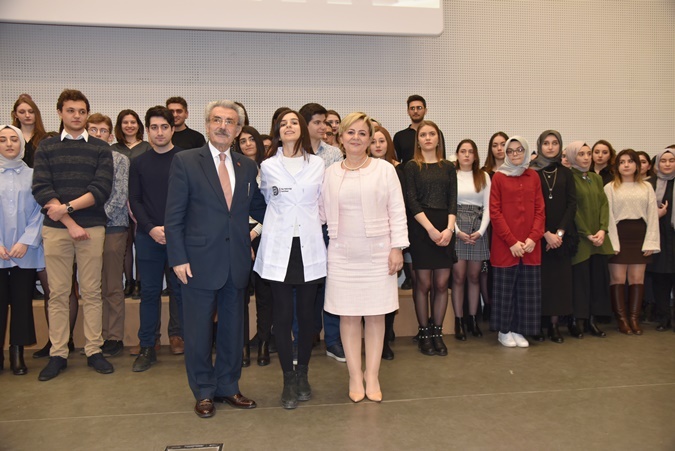 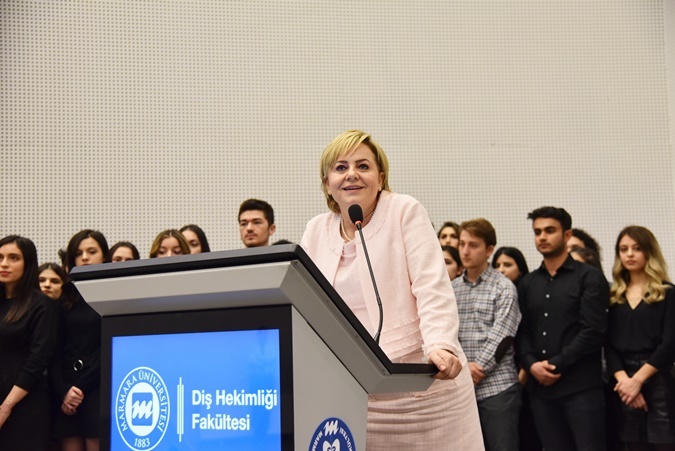 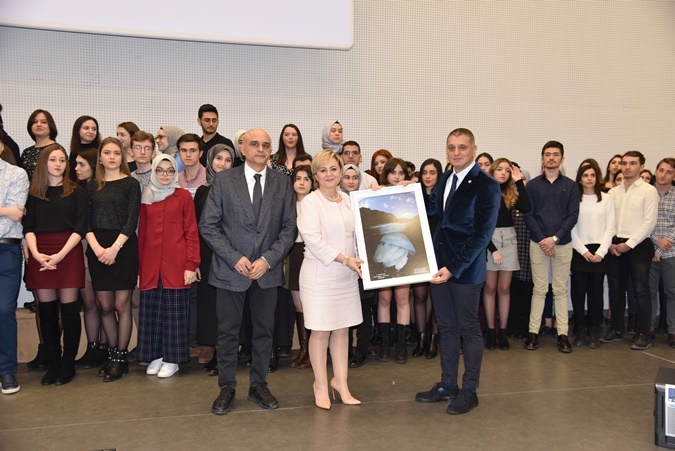 The ceremony ended with the slogan ‘’Marmara is The Best’’ of students and in the sequel a cocktail was organized in the foyer area.